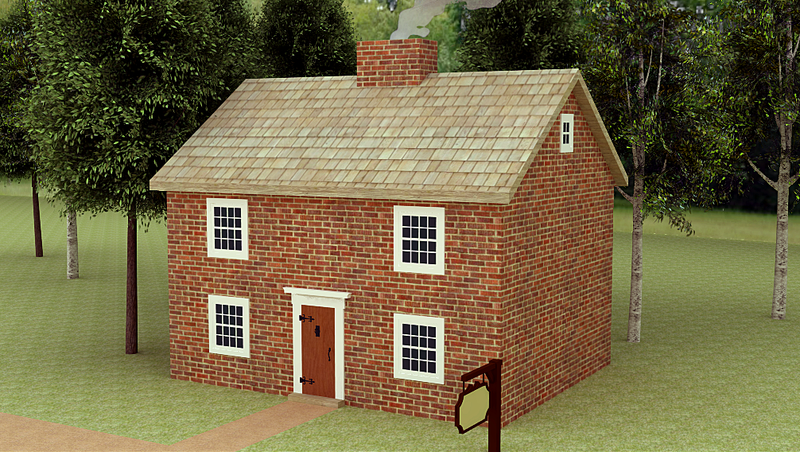 This is a computer generated model depicting what the Three Hearts Tavern might have looked like between 1758 and 1774. The 1758 "Charter" Map of New Ark and the description of the building in the The Pennsylvania Gazette on January 12, 1774 were used to design the physical features of the building. Some physical features of the model were interpreted by the creator. 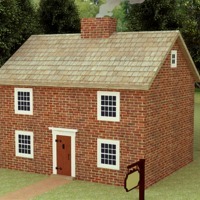 This graphic model was made using the 3D modeling computer program SketchUp. RJ Lara, “Computer Generated Model of the Three Hearts Tavern (1758-1774),” DelaWARES.org, accessed April 23, 2019, http://delawares.org/items/show/204.